The European Stroke Awareness Day is this year being marked on May 14, the second Tuesday in May, and SAFE’s main campaigning theme in 2019 is ‘Life After Stroke’. The issues facing stroke survivors in the long term have historically been generally ignored. 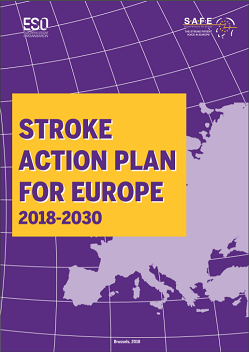 SAFE and ESO are trying together to make a change, which started by including the Life After Stroke in the Stroke Action Plan for Europe 2018-2030. The voices of stroke survivors, as individuals and, vitally, through their support organisations are required to improve life after stroke care provision. Stroke research, quality measures, guidelines and action plans have largely focused on the medical management of stroke. But it is now recognised that urgent attention needs to be paid to life after stroke. 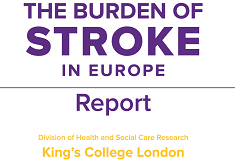 Although there have been very few research studies into life after stroke covering the entire lifespan, it is clear, that for stroke survivors and their families this is one of the most important aspects of stroke support and provision. After all, people live for many years with the consequences – including communication, psychological and other health problems; financial and relationship difficulties; as well as the barriers they face as disabled people. Around a third of stroke survivors are disabled, have poor post-stroke cognitive ability and poor mental health. 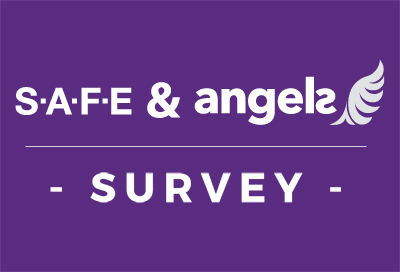 Surveys show that communication, social relationships, loneliness, incontinence, fatigue and finance needs especially are unmet, and social integration is missing. There is a strong need for personal care plans after rehabilitation ends, and for coordinated support. We invite you to join our campaign and support stroke survivors and their carers by raising awareness of their needs. “Some days I meet an understanding, some days I don’t. And when I don’t, I talk them through it, because I want to be understood” said Grethe Lunde, SAFE Board member and stroke survivor from Norway. For any additional information or campaign resources, please contact Jelena Misita, SAFE Awareness and Advocacy Manager.